Who’s Afraid of Anand Teltumbde? Teltumbde's writing has exposed the hypocrisy of the votaries of neo-liberal capitalism, caste deniers and Hindutva triumphalists. It is they who seek to silence him today. Dr. Anand Teltumbde has demonstrated tremendous courage in departing from the hero-worshipping style of approaching the historical personalities, which is so rampant and so universal in our country. Let us hope that the issues analysed by him are given the close attention and scrutiny they demand. His position calls for extensive and more importantly, critical debate…Endeavours to build revolutionary theory are bound to generate disagreements and controversies. That is how they should be so. But that is why we should congratulate Dr. Teltumbde for his present project. Let us hope to hear more from him in the future. Those were the words of the much loved Marathi writer, political scientist and public intellectual from Pune, the late professor Ram Bapat, when he introduced Anand Teltumbde’s pathbreaking short book ‘Ambedkar’ In and Of the Post-Ambedkar Dalit Movement penned in the late 1990s. Prophetic words. In the more than two decades since, Teltumbde has grown in stature to become one of India’s most well-respected public intellectuals – taking public positions on public issues in intellectually defensible ways through his long-standing regular column with the Economic and Political Weekly, or his frequent op-eds in Indian newspapers, or his scholarly writings in journals and books, or his fact-finding reports on atrocities around the country. 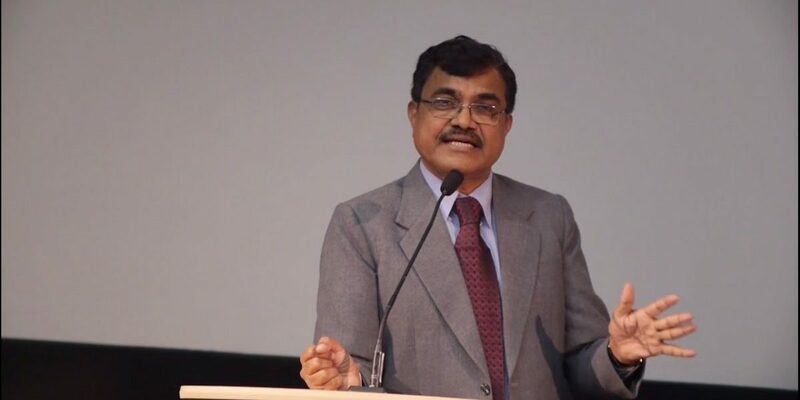 A consummate polymath, Anand Teltumbde is at once comfortable with hard-nosed political-economic analyses of globalisation, as with the cultural-politics of caste identities and caste-class dialectics, or with the techno-business strategic policy formulations that figure in trade journals. To understand Anand, is to also understand the fact that his ideas are a testimony to a lifelong commitment to a positive and fundamental critique of the state of India’s much-touted ‘democracy’ in order to remake it as a truly emancipatory lived reality. True to the ideals of his boyhood hero, the staunch anti-colonialist and internationalist Bhagat Singh, Anand’s interventions are a testimony to how he is central to critical debates in and about India today. This is because in each piece of his writing, he either provides enough material to deepen an argument, or delivers a fatal blow to demolish an argument. Either way, readers and those who engage with ideas seriously will not be disappointed. Here are three examples of how his ideas are central to critical debates about India today. 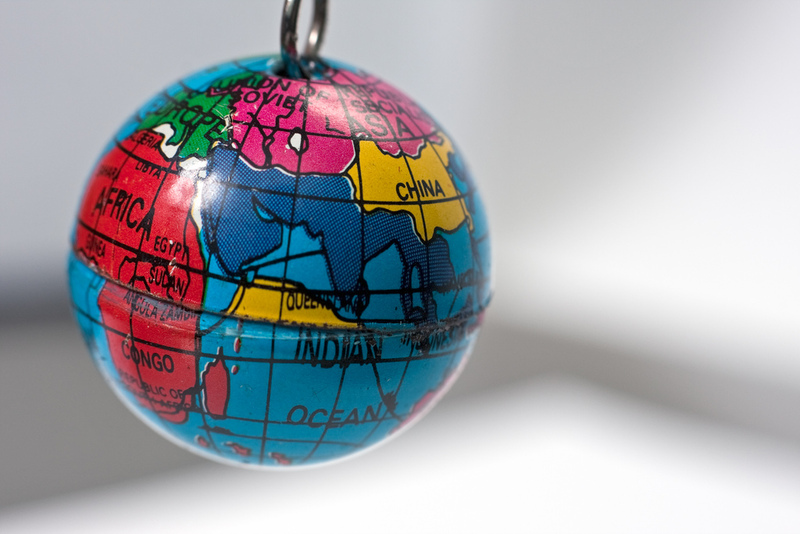 The debate on globalization: Aren’t we all glad for it? Since 1991, no other story has been more debated in India than the one about its economic liberalisation. In an early essay given as a talk at the University of Oxford in 1996 (since then published as a paper), Anand outlines the contours of the impacts of ‘neoliberal globalisation’ policies on the majority of India’s population – the poor and Dalits. Social consequences of the economic miseries associated with these Reforms are indeed ominous for the dalits. On one side they shall be subject to increasing pauperisation and on the other stand in competition with the multitude of masses in the job market. Increasing tendency of businesses to downsize, virtual abolition of the reservation system through privatisation, the strategies of flexibilisation and informalisation of labour; corporatisation and depeasantisation of farming etc. will release vast numbers of people to the job market. The resident caste prejudices in such situations will certainly get activated to the detriment of the dalits. Seeing the swell of farmer protests, the shocking lack of employment opportunities for youth, and growing Dalit resistance to ruling policies across the country today, it is not difficult to see how Teltumbde’s writings are a direct challenge to any attempt to speak glibly about say, the ‘good times to come’. The debate on casteism: Are we not beyond it yet? No story in or of India can escape the nagging need to say something about caste and casteism. Against the usual refrains about how caste is a thing of the past, Anand Teltumbde’s writings have provided us a way to think about how caste adapts itself to changing political-economic contexts historically and yet retain its pernicious power. India’s caste question is shrouded in myths. Khairlanji effectively demolishes many of them. First, there is the neoliberal myth that globalization will eradicate caste…Then, we have the myth propagated by economists that the caste-based exploitation of dalits will wither away with their economic and associated cultural development… There is another myth that six decades of development has created a ‘civil’ society, comprising a significant section of progressive non-dalits who are opposed to caste… Then there is the representational myth…that if dalits are placed in the bureaucracy, and indeed in every sphere, they will de-caste the system and orient it into doing justice for them… all these myths have been demolished by Khairlanji and the events in its aftermath. Note how no conventional position on caste is spared by Teltumbde – not the Left which has struggled to seriously engage with the reality of caste as distinct from class, nor upwardly mobile Dalits who place lot of faith in changing the character of the Indian state by occupying bureaucratic positions, and not the smug anti-caste non-Dalits who imagine a modern civility that would erode caste. Yet, while each of these is a sympathetic critique by Teltumbde, he reserves his harshest critique for the Indian state and capital itself whose systematic and historical crushing of any progressive Dalit movement is clearly documented in the book as part of the neo-liberal and Hindutva character of the state. It is to this that we now turn. The debate on Hindutva: Do we really need pay attention to it? A third debate that shapes views on India today, is the significance of Hindutva. No longer is it possible to deny the growing militaristic methods and ideological hardening of the Hindutva movement in India today. It is now regular news (even in the mainstream media) about the discovery of arms caches and bomb plots unearthed by the police from Hindutva outfits. And yet, there is a persisting sense among the middle-classes that Hindutva continues to be a fringe phenomenon or even a benign one. 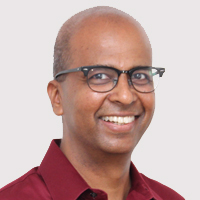 In a series of articles and an edited volume (Hindutva and Dalits: Perspectives for Understanding Communal Praxis, 2005), Anand Teltumbde joined the ranks of longtime observers of Hindutva with his own brand of insights of the roots of this major political movement in India, focusing especially on how Hindutva seeks to co-opt Dalits, how Ambedkar stands in their way despite repeated attempts to saffronise him and why Dalits are increasingly conscious of the dangers of Hindutva. His most recent book (which I have reviewed elsewhere) and which will surely become a standard reference book on India for years to come, critically dissects Hindutva unsparingly in ways not quite done by earlier observers. The deaths of Mohammad Akhlaq and Rohit Vemula stem from the same source, the brahmanical order that the BJP and its parivar outfits are at pains to restore. Theirs is an ideology of elitism based on the systematic persecution of the downtrodden. The cynical appropriation of Ambedkar by Hindutva is an attempt to veil this connection…To avert the prospect of dalits and Muslims joining forces is a priority for the Sangh parivar. Its intellectuals have been saying that Ambedkar was against Muslims…To give an idea of the quality of research behind the parivar’s lies about Ambedkar…I need only mention here that it took me a mere four days to collate a refutation of them from Ambedkar’s writings, which I published as Ambedkar on Muslims: Myths and Facts (2003). (Teltumbde, Republic of Caste: Thinking equality in the Time of Neoliberal Hindutva, 2018, pp. 280-2). The emperor has indeed been shown repeatedly to have no clothes in Anand Teltumbde’s expertly deployed arsenal of concepts. For he has shown how these three debates need to be viewed as intertwined moments of a unitary phenomenon that has become a spectre haunting Indian democracy – the real possibility of fascism. Who then is afraid of Dr Teltumbde? Who seeks to silence such a voice of reason in a world dominated by ‘fake news’, dogma posing as innovative thought, naked power trampling truth, and ahistorical banalities parading as knowledge? Whose ideas stand exposed as hollow in the face of Anand Teltumbde’s sharpened missives? Whose ire has Teltumbde’s writings drawn? Whose representations of reality have been challenged, contested and crushed by Teltumbde’s scholarly writings? Whoever is afraid of Teltumbde, it is surely not the scores of scholars, students, activists, educators, members of diverse communities of solidarity, Dalits, Muslims, anti-caste Hindus, anyone who has had the opportunity to come in close contact with him, his peers, his corporate colleagues, his urban and rural acolytes who have learned to recognise an organic intellectual who stands and fights for social justice. For they are coming out overwhelmingly in support of and indignant about the treatment meted to him in India today. Even his most vocal critics from the world of intellectuals and politics would be hard put to deny the verity of Teltumbde’s arguments about existing realities, even if they quarrel with him about the prognosis or the strategies for struggle. That, is after all, what being in an intellectual battle means – engagement of ideas for their content, not attacks on the person. Could it then be those who are the self-styled votaries of unbridled neo-liberal capitalism, of the purported irrelevancy of caste in a modern India, of a triumphalist Hindutva juggernaut leaving a bloody trail of bodies while cynically proclaiming the success of the world’s largest (so-called) democracy? For it is they who bristle at his truths, who stand to be exposed for their hypocricies and whose ramparts shake at his words and works when he boldly articulates what many have only vaguely felt is the truth about India – that, it has always been its ‘wretched of the earth’ who have been its conscience, and who need to rise in order to remake its history. Not surprising then to see that Teltumbde dedicates the book mentioned at the start of this essay to the poet and visionary bard, Vilas Ghogre as someone who refused to see the difference between Laal Salam and Jai Bhim, who longed to hear ‘Inquilab Zindabad’ resonating from the Buddha Viharas in Dalit bastis and from me, who always expected something like this! N. Balmurli is an anthropologist at William Paterson University of New Jersey, USA.